Are you frustrated when your tablet dies in the middle of a game? Tired of constantly having to recharge your tablet? Don't worry, we've been there too- So we solved the problem! Our 3600MAh battery delivers 2X the playtime that the regular battery does so you can spend less time hooked to the wall and more time beating saving the princess! Easy 5 minute installation with the included screwdriver will make your life a breeze! Take the worry out of playing your Wii U Tablet with our long lasting battery! So stop stressing and get the Longer-Life Battery for your Wii U today! Click the add to cart button now! Expand + Upgrade your wii battery! 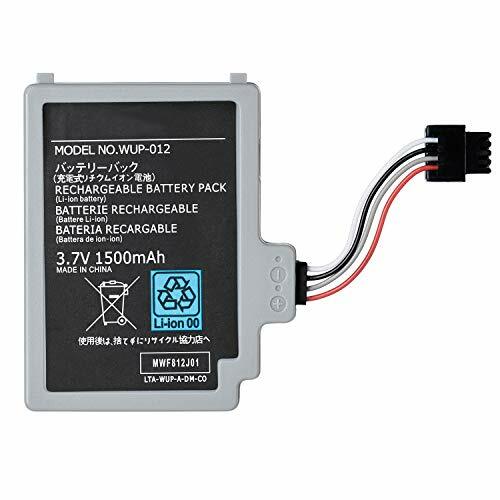 Get the Original Aftermarket long-lasting Wii U Battery! Stop letting your gamepad die in the middle of a game! This 4000 MAh Wii U battery nearly triples the OEM battery size! Wow! Easy 5 Minute Installation with included mini screwdriver! Backed by an excellent customer service team and a 60 day money back guarantee! So stop stressing and get the only battery that last 3x as long for your Wii U today! Click the add to cart button now! - 1 * Power Adapter for Nintendo Wii U GamePad. 45 days money-back & 18-month warranty. Any questions you have, please don't hesitate to contact us. If you like our product, click Add to Cart to get it. Built with high-quality wiring and top-grade ABS plastic coating will help promote sustainable and safe charging. 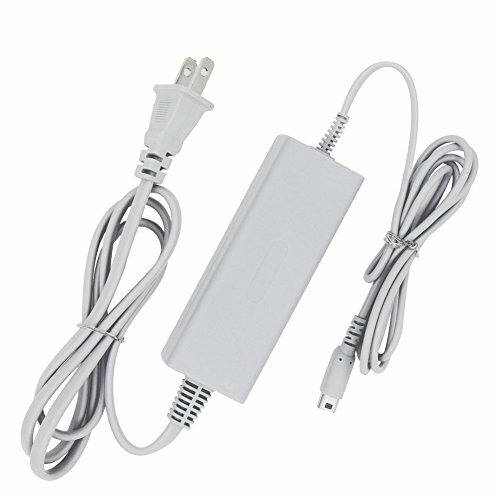 Premium quality replacement power supply adapter cable for Nintendo Wii gaming console. Replace lost, damaged, or broken power cables.Replace lost, damaged, or broken power cables. If for any reason you are not satisfied, we will send a free replacement or refund your money instantly. We will provide a completely risk free buying experience for you. If you have any issue with our product or service, simply send us a message via """"Contact Seller"""". Your problem will be solved within 24 hours. Replacement: Fit for Nintendo WiiU GamePad. 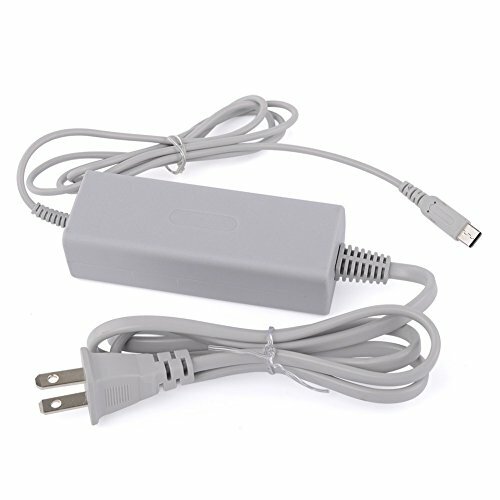 Ideal quality replacement or backup AC WiiU power charge adapter. 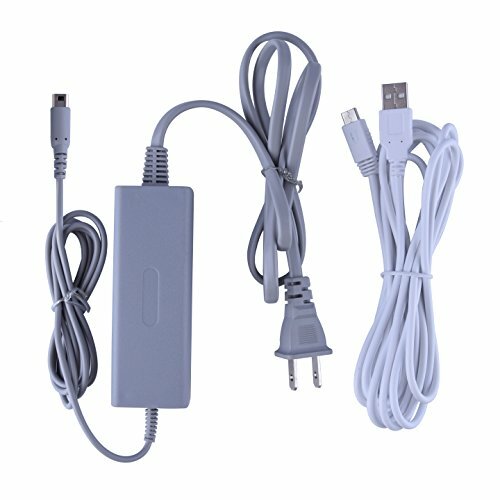 Portability: Charger small size and light make it easy for WiiU carry or travel. Rapid Charging: Reliable, fast, and convenient charging delivered by the high-quality GamePad AC cable. Durable Quality: Durable cable material and seamless plug, compatible with Nintendo Wii U GamePad controller. 60 days money back guarantee & 18-month warranty. 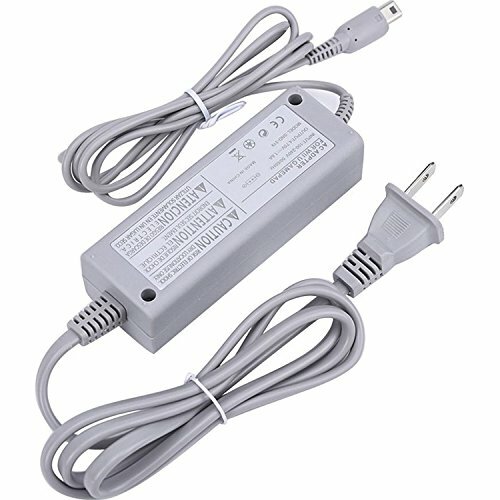 Makes a great replacement or back up power AC adapter for your Wii U GamePad; Not suitable for Wii U console charging. Because of the 10 feet length, we suggest using a wall adapter for fast and optimum charging if possible. 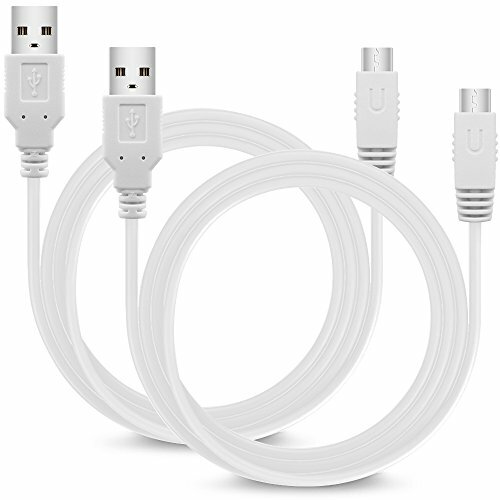 APPLICABILITY: This USB charging cables is specially designed for Nintendo Wii U Gamepad. HIGH CHARGING SPEED: It is made of great materials to make sure that it charges the device quickly, efficiently and the most important - safely. 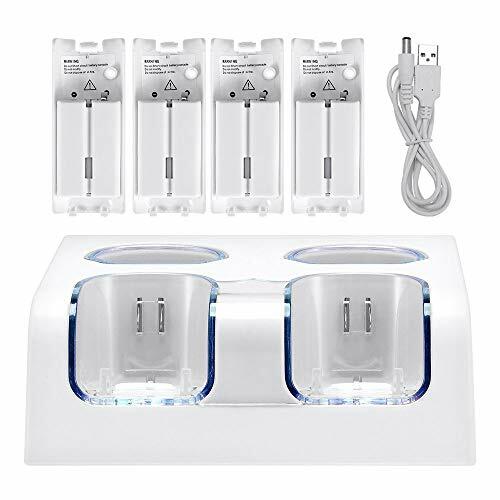 COMPATIBLE WITH VARIOUS ADAPTERS: It can be used on car charger, phone charging adapters, tablet charging adapters, computer USB ports, Power bank, etc. GREAT REPLACEMENT: This charging cable is a good replacement of the original one. And also set of 2 pack gives your device a reserve in office, car or tours. Play longer with Nyko's UBoost for the Wii U GamePad. The UBoost works in conjunction with the existing GamePad's battery providing 2X the power for up to 10 hours of playtime. The extra play time of the built-in battery pack is complemented by a built-in stand, perfect for watching streaming content such as movies or TV shows on the GamePad's screen. The UBoost easily clips on to the back of the GamePad with no need to remove the internal battery or back cover, making installation as easy as possible. Once you're done playing, the UBoost easily recharges through the standard GamePad AC adaptor or by placing it in the charging dock that is included with the Wii U.
Conveniently and quickly store and charge two Wii U Pro Controllers in a whole new way with Nyko's Charge Base Pro. 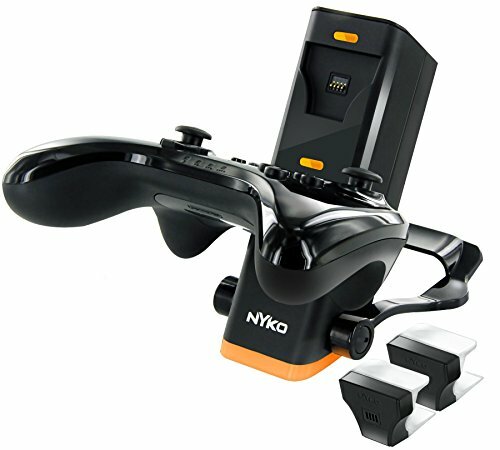 Utilizing Nyko's patented magnetic USB Charge Adaptors, the Charge Base Pro allows for incredibly easy charging of 2 Pro Controllers. Simply attach the small, lightweight adaptor to the Mini USB port on the controller, and then place the controller into the magnetic charging port. The vertical and collapsible charging dock will suspend and hold the controller while charging it; No additional wires necessary. The Charge Base Pro utilizes AC power from any wall outlet for a rapid recharge faster than USB. Reliable lifetime warranty and free spare parts. 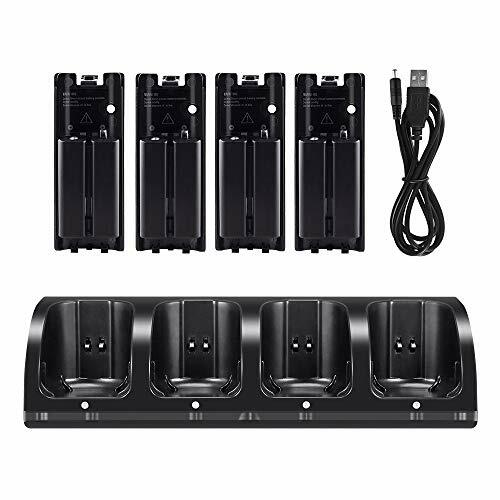 This charging system can charge a Wii U GamePad and 2 Wii Remotes conveniently at the same time. They are individual and won't interfere mutually. 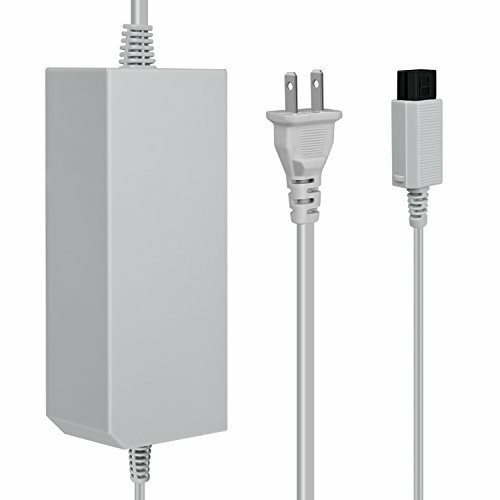 It can also be regarded as a base station, which is convenient to hold gamepad when charging. Real time LED lights indicate charging status, safe and sound. The battery need about 2 hours to be fully charge, and can be used for about 4 hours continually. Come with two 2800mAh rechargeable batteries. LED indicator can timely show the charging status. The charging of Gamepad and Remote are individual and won't interfere mutually. CPU controls and adjusts the charging current. With over-voltage, over-current, over-charging, over-discharge, positive and negative short-circuit protection function. The Battery has to be totally depleted before it can be recharged. We recommend charging the battery pack completely each time. This charging station can not charge the battery packs directly. 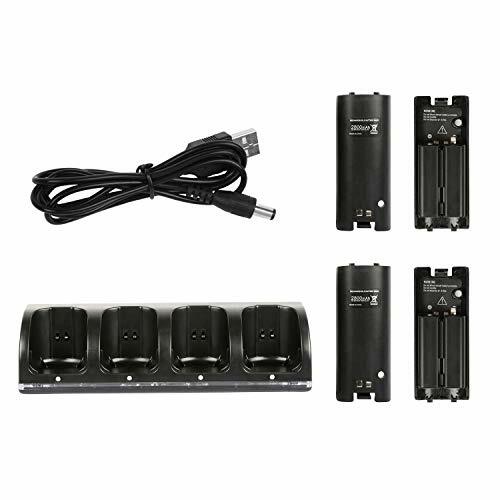 Please put the battery packs into the remote before charging. This product is developed for the Wii remote and Wii u gamepad. It can also be seen as a base station, conveniently holding the gamepad while charging. It will keep lighting when put Gamepad on the charge station. Two charging slots in the front are designed to charge for Wii remote. When the charge station is connected with the power, the indicator lights will turn to blue. When put the remote on it, the indicator light will turn to red, then change to blue when fully charged. Superb and special plastic material ensure improved performance. 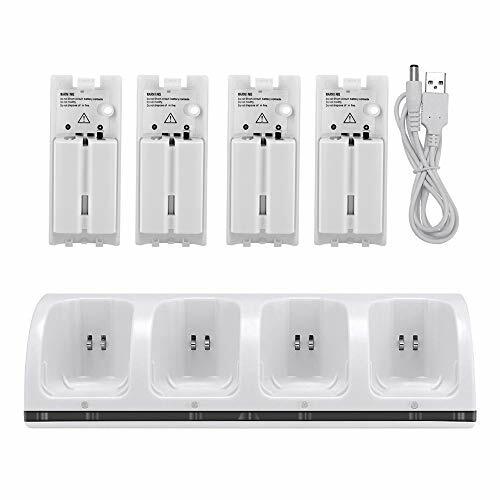 With over-voltage, over-current, over-charging, over-discharge, positive and negative short-circuit protection function. Perfect protection for your controller. Easy to install and carry, perfect match for wii remotes. 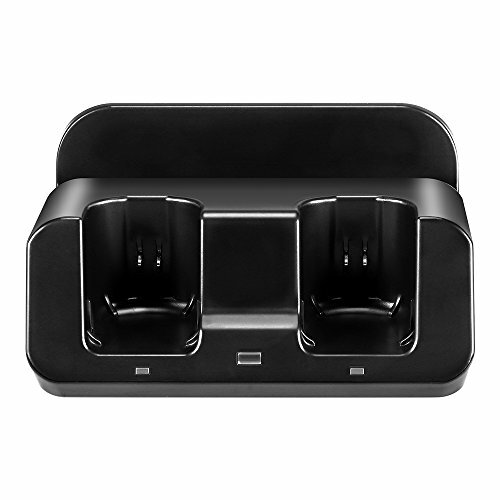 And you just need to connect the charging dock to any standard USB port, no need to remove the batteries from the controllers. Seller warranty: Reliable lifetime warranty and free spare parts. This extended battery is specially designed for Nintendo Wii U Gamepad, perfect fit as original one. Perfect replacement for your broken one or just as spare pack. 3000mAh high capacity can help you play longer time. Lvl 99 Gear's Quest: While you're raking in the headshots in Call of Duty, putting the pedal to the medal in Gran Turismo, or monkeying around in Donkey Kong, we are working our a!# off to make your gaming experience better. Gamers rejoice, for you have found the holy grail of gaming accessories. When you are looking to take your gaming to the next level, it starts with Lvl99Gear. 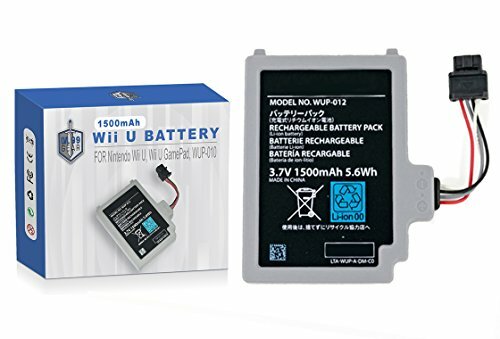 The Lvl 99 Gear Wii U Gamepad Battery is a high Quality, high capacity, light weight rechargeable battery for the Wii U Gamepad. Overcharge protection, with built-in battery life microchip to keep you playing your Wii U Games longer than ever. No memory effect. This Nintendo gamepad battery can be charged or discharged as needed without loss of capacity. One of our top rated Wii U accessories and backed by Lvl 99 Gear's quest to make your gaming experience the absolute best. 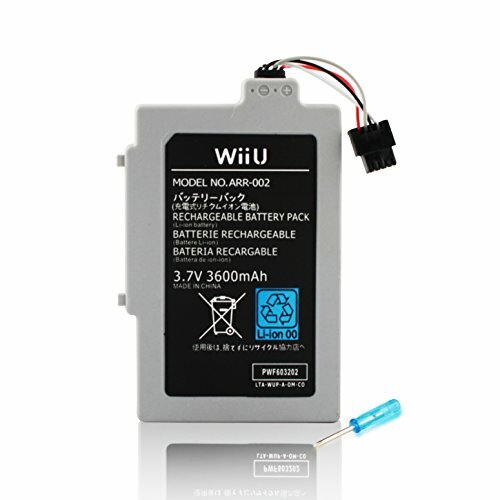 The Lvl 99 Gear Wii U Gamepad Battery is compatible with Nintendo Wii U, Wii U GamePad, WUP-010. 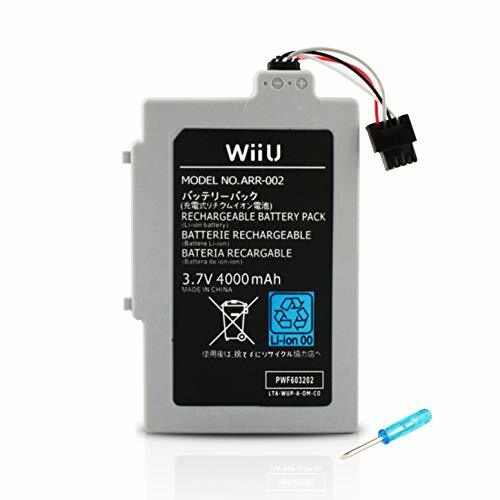 HIGHEST QUALITY: The Lvl 99 Gear Wii U Gamepad Battery is a high Quality, high capacity, light weight rechargeable battery for the Wii U Gamepad. KEEP PLAYING: Overcharge protection, with built-in battery life microchip to keep you playing your Wii U Games longer than ever. RECHARGEABLE: No memory effect. 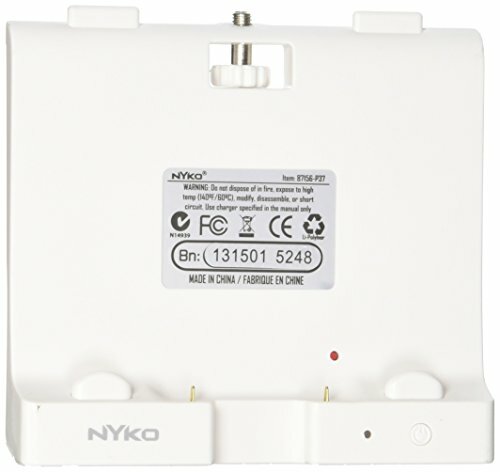 This Nintendo gamepad battery can be charged or discharged as needed without loss of capacity. 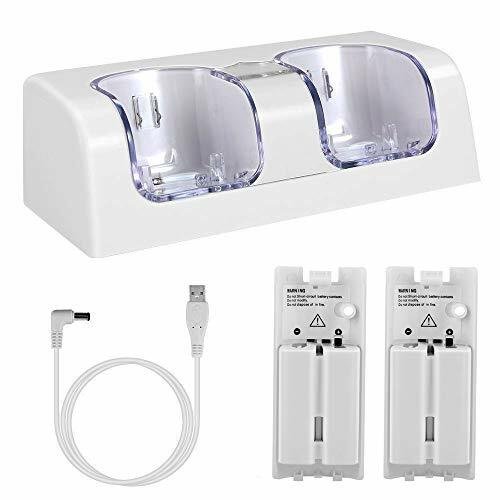 TOP RATED: One of our top rated Wii U accessories and backed by Lvl 99 Gear's quest to make your gaming experience the absolute best. 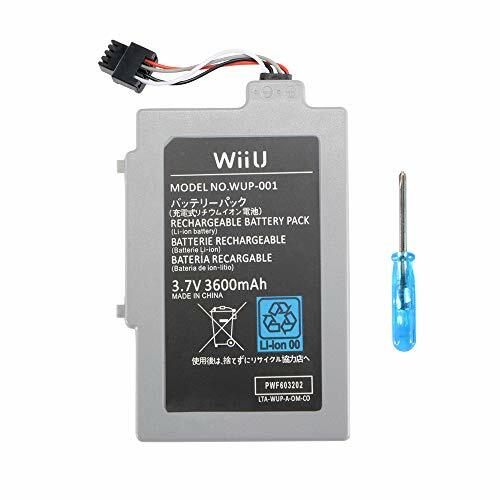 COMPATIBLE MODELS: The Lvl 99 Gear Wii U Gamepad Battery is compatible with Nintendo Wii U, Wii U GamePad, WUP-010. This travel charger conveniently gives your nintendo wii battery a boost whether traveling for a business trip, in a hotel or at home.